* Remember it’s beta software. Please contact me if you find any bugs. – Only NDSTokyoTrim should ever be used in my opinion. – just use the best trimmer, “NDStokyotrimmer” it’s the obvious best & fastest trimmer, NEVER had a single problem with it. – Fixed savings counter which was limited to 2GB. – Ultra-fast new overwrite method: use overwrite to trim roms in as low as 0.01 seconds. 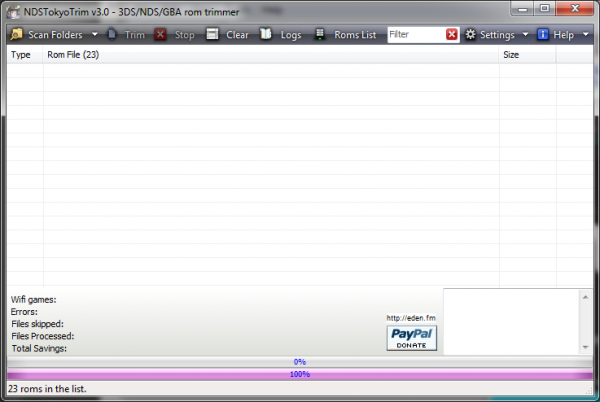 It should be a lot faster now, specially when loading/saving to flash memory devices. Fixed a problem with some roms that are originally dumped in a wrong way. It should work with all now. If you had some roms with errors after trimming, please re-trim them now. Also added an expanded log window. Options are saved to registry. Drag&Drop support for files, zips, folders. Incorrect File names? Just use “BatchRename”. Fell better using computer. Thanks for making this and sharing it! it runs on my Debian 7 via wine, nice application btw. I can’t trim some of the GBA roms (example: Mother 3 (Japan)). I used v2.5 of NDSTokyoTrim. having the same issue on xp, does xp have dep? 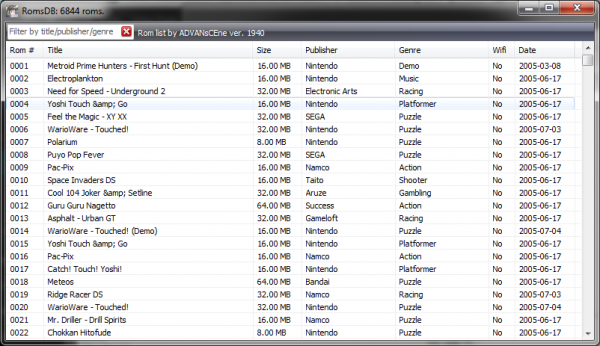 Hey i would like to report that the 2.5 Beta version deletes the Wi-fi part of Tetris DS. Fix it in the next version. Worked it out, I had to add it to Win7 DEP exceptions o.O I had forgotten I had it enabled for something, and forgot that TokyoTrim needed DEP disabled. Sorry for the trouble, guess I haven’t had a good tech week. I can’t reproduce the error. What’s your UAC level? No word for a week? Not good for a useful piece of software, that is possibly the most used pc app for the DS. Not liking this, not at all. Been using this since I got my first Slot-1, however long ago it was. Same here. Would LOVE for someone to shed light on this. Having issues with 2.5 Beta 2 on a recently updated Windows 7 x64. It errors with some EAccessViolation thing. Do you know if this issue has been fixed with the new Beta as I’m reluctant to trim with anything but 2.18. Thanks for the report, will look into this asap. Latest version seems to have malware, information thieves. Still violates DEP and will not run on systems with it enabled for normal programs until it is manually added to the whitelist.